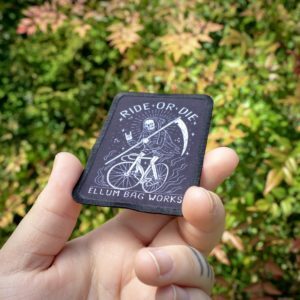 Our Cycling Babe design is now available in patch form! Our Cycling Babe design is now available in patch form! Our patch is woven instead of embroidered for incredible detail that preserves the design’s detail, complete with a merrowed border to finish the patch off. 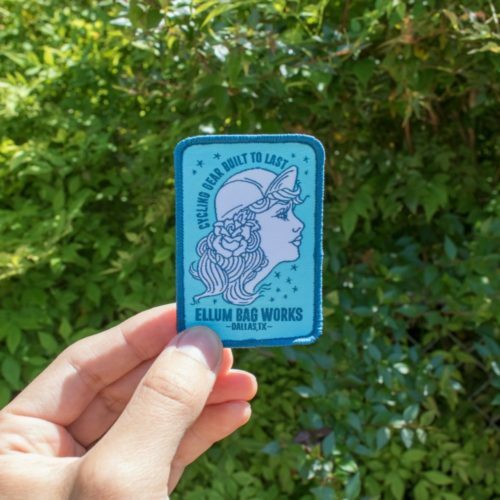 The Cycling Babe Patch does have an iron on backing for ease of attachment, but it is recommended to sew it on to ensure it will stay with you. 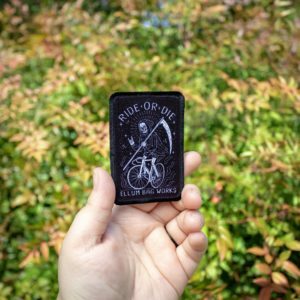 Our Ride Or Die design is now available in patch form!